I’m loving the fact that it’s now light out until about 7pm. What I’m NOT loving is that it’s still dark out when I go to the gym. There’s nothing less motivating than waking up when it’s still dark out. So while it’s still light out, I had all these hopes and dreams for magical creations I was going to make after work, photograph, enjoy and blog about. Then I remembered that more cooking means more washing dishes and that suddenly sounded unappealing. As much as I wanted to hit up Trader Joe’s for a box of Puffins for dinner, I decided to make something quick and easy. And seriously guys, this was all sorts of amazing. 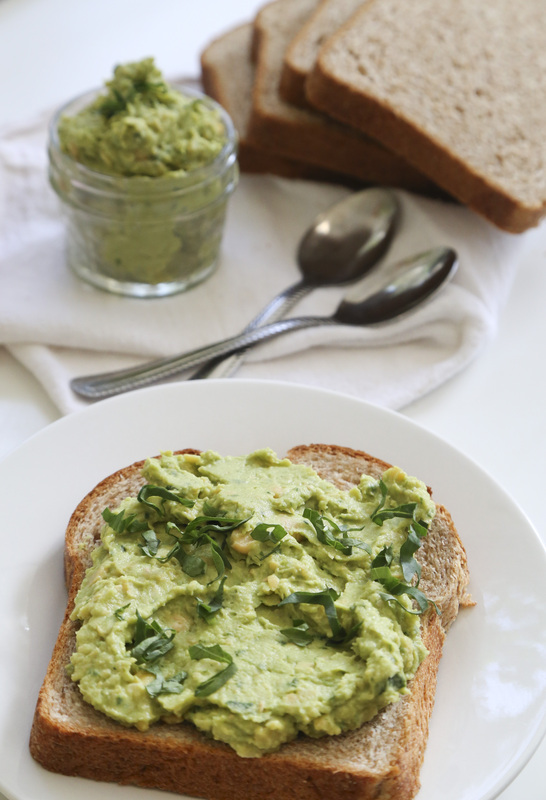 You really need to make this, spread it on toast and stuff your face off. That’s what I did. Why should you? It’s vegan! Let’s love the Earth a little bit more and eat less meat (especially if you’re in California. There’s a drought folks!). 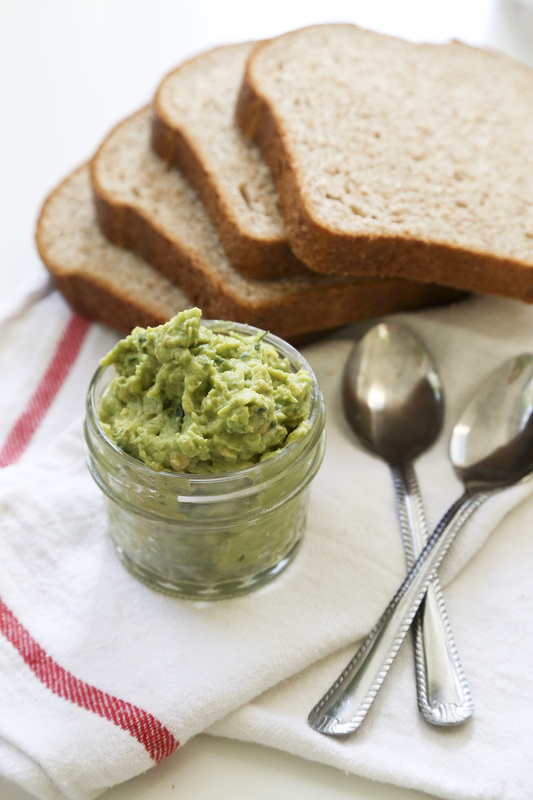 This spread still packs in the protein. This whole recipe (which serves 4) has about 29g of protein! It’s crazy delicious. Seriously. So good. It’s ready in about 3 minutes, and you’re hungry so what are you waiting for? BONUS REASON: It’s a great excuse to eat bread, not that you need one. Combine all ingredients in a food processor or Vitamix (which is what I used). Pulse until combined. I wanted mine a little bit chunky so I didn’t pulse it too long, but if you want it smooth you can do that too. 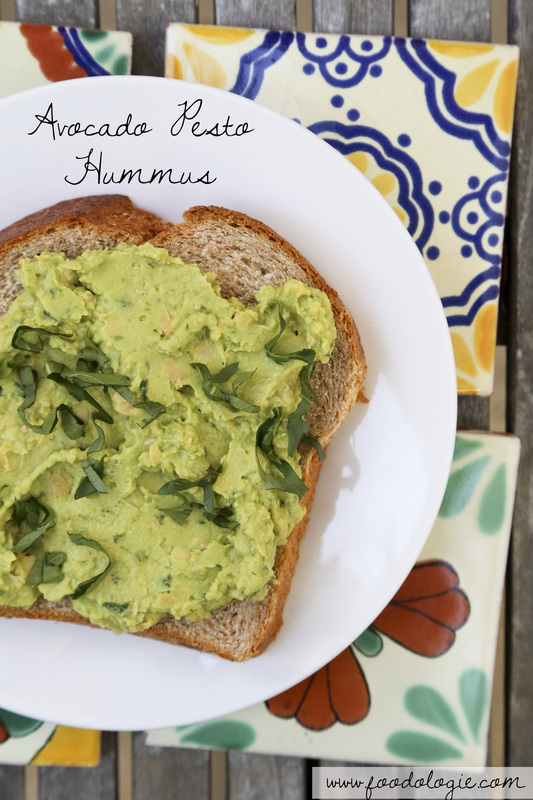 Spread on your favorite bread or serve with pita chips or raw veggies and enjoy! Do you need any more convincing? I’m not sure how else to tell you this is basically delicious and awesome for you. Eat it up! Are you an avocado lover? Please tell me you are! Avocado Toast! I love it. Will have to give this a try. Nice. I wants it…;) Only one problem @ work will have to wait it out till home time. Love this idea! You know I love avocado and I love mixing it with pesto, why not add some beans to the mix as well! I’m also enjoying the new evening light but morning workouts have been SO tough lately, I can’t seem to peel myself out of bed. I’ve seen something like this twice this morning. I like it! Oooh where was the other one?